Good week for struggles and not-quite-there-yets in the woodshop this week. Three projects left the floor complete. 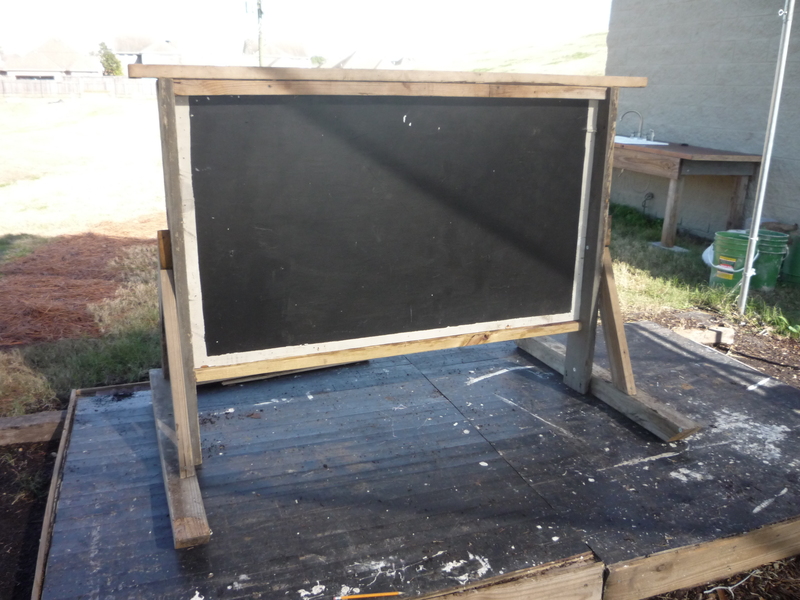 The first, chalkboard that has been wind-blown, vandalized and otherwise destroyed three times. We’ll see if it sticks this time. The other two projects I failed to take a picture of. On Mon or Tues, I’ll put up a picture of those two projects. Two Art Car themed classes. One focuses on building a parade float, the other will design bicycle-based alternative transportation (think trikes, scooters and quad-cycles). Working on the Homies. A home-improvement themed class for adults with neurological differences to gain skills and confidence in home-care. I hope film some work done by the students to use as a home-improvement show assignment. 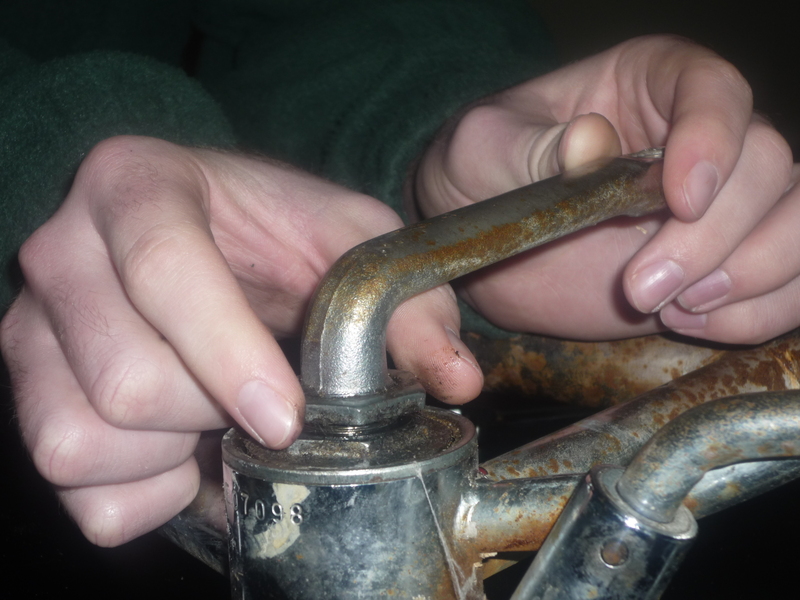 Environmental Maintainability. The academic objectives for this class is to learn about and how to maintain the man-sculpted environment of the school. We have thirty trees to plant over the next few weeks, and about twice that number to water. I won’t have enough time to do it all, but we’ll try. A woodshop production class & a woodshop master class. The main difference between these two classes will be the driving force of the projects. Masterclass students choose their work within skill level, production students produce what the student business classes need them to. Check out Stowe’s site – I find it a great read and have learned a ton. 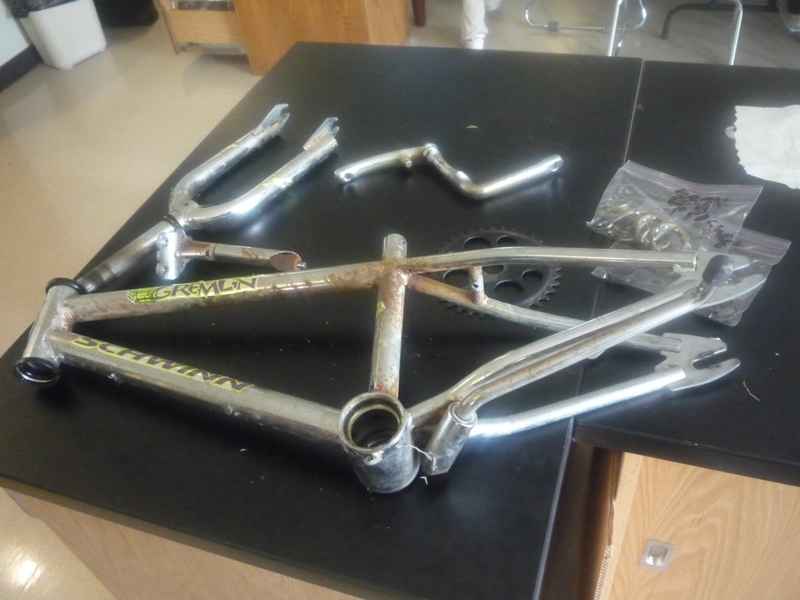 I hope none of those bikes had the back-pedal brake function…maybe that is not a challenge because you have the know-how, but i have never successfully replaced one after stripping and lubing refurbishes! I am glad that you are promoting problem solving in the tasks you present your students. No matter how simple they may seem, and even if they are “hand -centric (i’ll have to look that up), I think i agree with your take on those findings. Also, surely they are somehow utilized in the generalization across other problem solving tasks. It at least trains the brain to realize that challenges may be met, and perhaps instills the confidence to assert one’s problem solving schema to make the attempt! I never mess with that back hub. Clean it off, rub it with some WD40 and call it a day. Too much work.